Free2WinGames.com: First RSS Contest! - Winner: Jennifer! First RSS Contest! - Winner: Jennifer! The subscribe contest is now over. Check this post for current contests! I'm redoing the RSS contest. PLEASE READ CAREFULLY, even if you already entered! Step 2: Leave a comment below with your name OR your screenname for one of the game sites I review. Tell me you subscribed! Step 3: Earn extra entries! This contest has tiered prizes. This means when more people enter, the prize gets better! 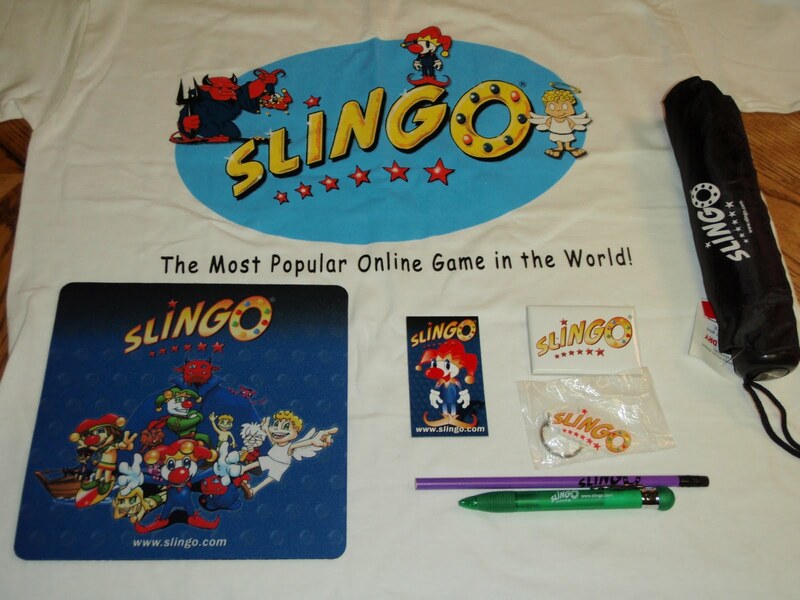 All prizes are Slingo themed. Even if you don't play Slingo, it's still something for free! PLEASE NOTE that subscribers are individual people! It's possible to have a few hundred entries and only have 10 people in the contest. If this confuses you, please post or email me for help! Tier 1 ~ 5-15 Subscribers. Slingo Magnet! Tier 2 ~ 16-30 Subscribers. Slingo Keychain! Tier 3 ~ 31-50 Subscribers. Flashing lights Slingo badge! Tier 5 ~ 76-100+ Subscribers. Slingo T-shirt! This contest will run from July 1st through July 31st. On August 1st I'll pick one winner and announce the winner in a new post. Stay subscribed so you don't miss it!